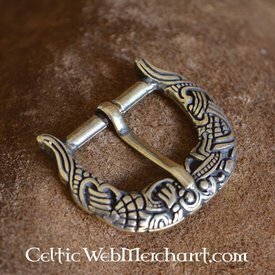 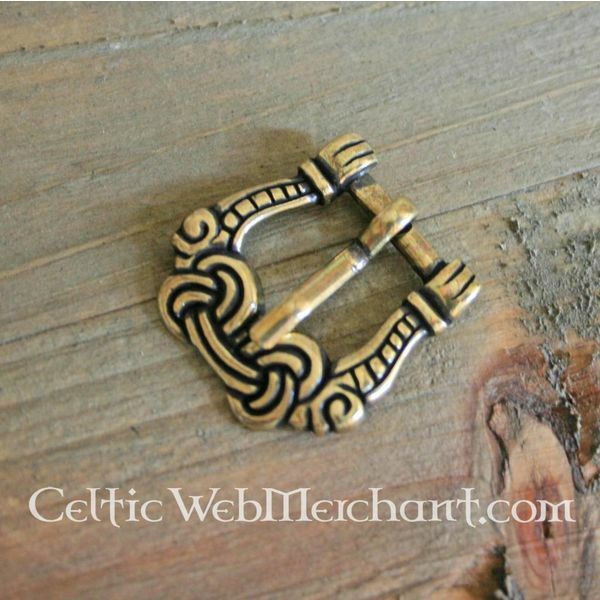 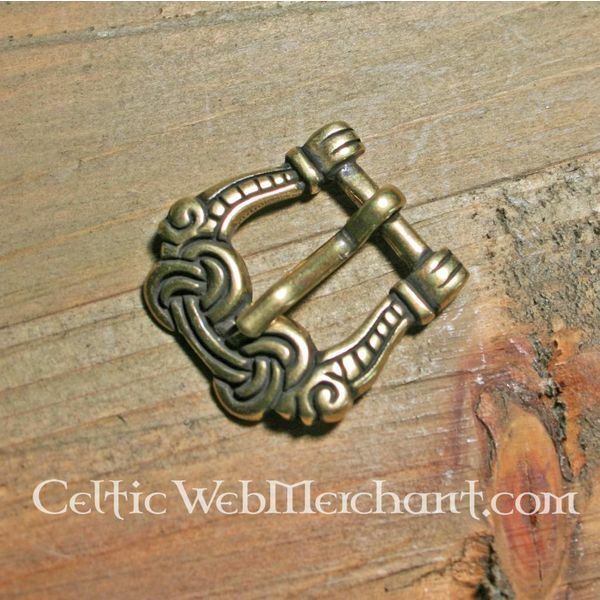 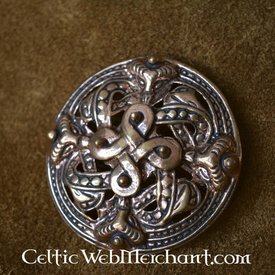 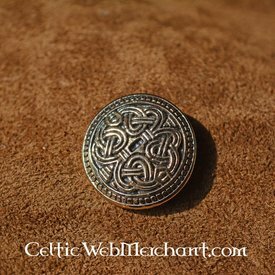 This is a replica of an original belt buckle from a Viking grave from the 9th-10th century. 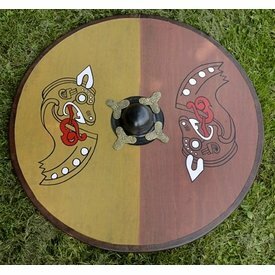 It is decorated in the Borre art style (825-970). 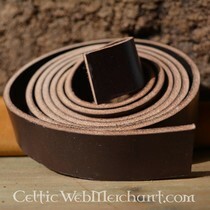 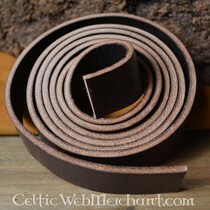 The buckle is suitable for belts of 1,5 cm wide. 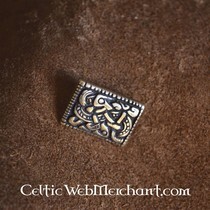 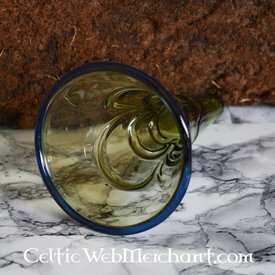 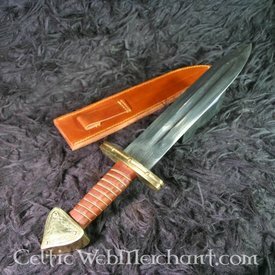 It measures 3,5 x 3,5 cm and is bronze coloured. 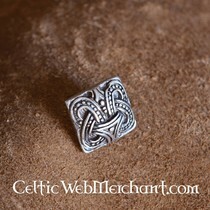 The Borre style is typical for its geometric patterns and zoomorphic shapes: the gripping-beast was a reoccurring motive. 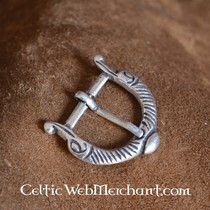 This particular buckle seems to be a combination of both. 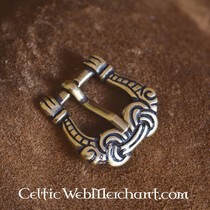 It shows a geometric pattern which is mirrored on both sides of the buckle but it also shows the distinctive four-fingered gripping hands typical for the Borre style. 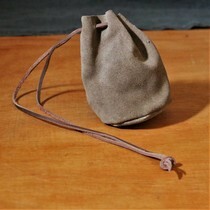 Also typical for the Borre style is ëhorror vacuië, literally: fear of emptiness. Every available space of this buckle is consequently filled with a pattern, there is an absence of background.